Abhi//Dijon is a duo, not a solo act. But sometimes listeners can’t tell. Growing up in Maryland, Raju says he mostly listened to Indian music and later, rock. Duenas, meanwhile, found his base in R&B and hip-hop. Together, the pair explore the pensive outer reaches of contemporary R&B music. They’ve been gradually tweaking the formula since their 2013 debut. Raju and Duenas say they have creative clashes all the time. But those battles don’t make it into the finished product — including on their cohesive new EP, Montana (listen below), where Duenas’ wispy, reflective vocals and Raju’s sumptuous co-production sound like a fated match. That warmth began to take shape with “Twelve,” a 2013 track with rhythms you could find on an Aaliyah single. (The duo even brought traces of Aaliyah and producer Timbaland to “Baby Girl,” a song they produced for Talib Kweli’s surprise 2015 release, F— the Money.) Their 2015 EP, Stay Up, remains rooted in their influences, but forges a path toward a more spacious sound. On Montana, Duenas’ soft singing melts into sprawling, pulsating instrumentals. The five-track release lingers on fragmented emotions, from pettiness in “Ignore” to wistfulness in “Often.” While Stay Up felt mildly nostalgic, Montana sounds like growth. What started as a hobby for the two self-described introverts has evolved into an “expressive exercise,” Duenas says. 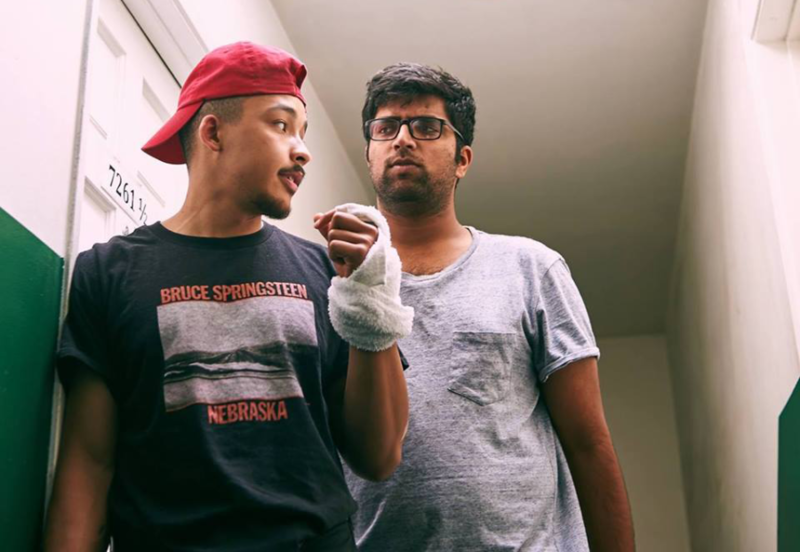 After Abhi//Dijon took a brief hiatus this year to figure out post-grad life and move from Ellicott City to Los Angeles, where they’re focusing on their craft. A top goal: refine their live show. Onstage, Duenas says, “I never felt like I was representing myself the way I wanted to.” He struggles with anxiety, and he’s felt hampered by preconceived notions of what an R&B performer should do. “Dijon’s not Usher,” Raju jokes. “Seriously,” Duenas agrees. “That was the existential thing because, like, I’m not an R&B dude.” So he’s simply decided to perform more honestly. “It’s more about owning up to who you are,” he says.